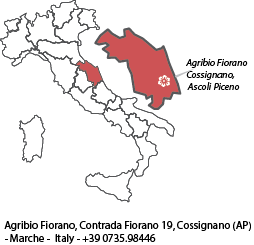 To produce our natural and organic wines, FIORANO uses natural methods of vinification of only our own organic grapes, without manipulation or addition of synthetic chemicals, and with respect for the natural maturation time of the wine, according to both the protocol of European law on organic wine production, and other even more restrictive parameters which we have set ourselves. 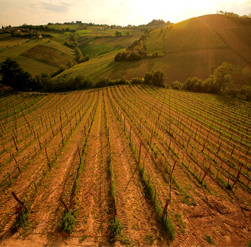 All Fiorano wines are certified as organic. The principal starting point of FIORANO’s wine-making practice is to work optimally in the vineyard, in order to obtain a product as healthy as possible, and to minimise intervention at the vinification stage, by combining tradition and technological innovation. The harvest is exclusively manual, in order to preserve the maximum integrity of the end product, to ensure that contamination does not occur in the field, and to avoid triggering premature fermentation. The vinification of the grapes begins in a maximum of 1 hour from harvesting, and we avoid harvesting during the hottest part of the day. Different varieties of grapes, from different parts of the vineyard, are vinified and aged separately, in order to best preserve the valuable notes of each Vineyard. We use a calibrated stemming and crushing method which leaves the grapes themselves largely intact. The wine is made in stainless steel and/or wood. Spontaneous fermentation is carried out through our own indigenous yeasts. Once fermented, a careful racking allows natural decanting and settling, and an organoleptic cleansing of the wine. Further leaving the wine on the lees for an appropriate period allows enrichment and qualitative evolution. The use of sulphur (sulphites) , as antibacteria and antioxidant, is kept to an absolute minimum, ensuring an overall sulphur content well below the levels of European law for organic wines (see technical data sheets of the wines). The use of such low doses is only possible with grapes of the highest quality, extreme attention to hygiene, and an accurate fermentation. To make the wines, we do not use products such us casein (milk protein), chitin, egg albumen, fish oil, gelatin and any other animal derived products. 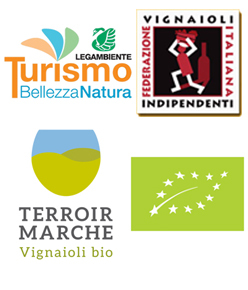 Thus the wines can be considered “vegan wines” although we do not put any commercial logo of Vegan certification that does not reflect, we would to remind you, any European law about vegan wine.